photos – quality versus convenience? Posted byPaula Turner	 July 9, 2013 3 Comments on photos – quality versus convenience? 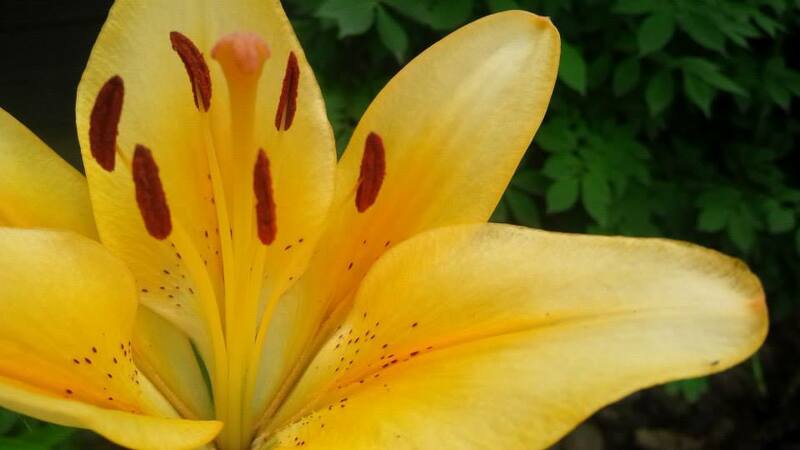 Yet, if I am out and about, with photography not being the purpose of my being out and about, I don’t want to miss a beautiful lily, for instance, that I come across. And that is why I am including this photo – I know that it is not the best photo of a lily of ever taken, but it is a good picture of a lily. This signals a change in my blog, too – lately I have started posting pictures that are not necessarily “picture perfect” (or as picture perfect as my abilities allow) but ones that depict life. Not to say that taking photos solely for the joy of photos will not continue to be the primary focus of the blog – it’s just an expansion of the parameters that I’m considering pursuing. I look forward to seeing the changes. Sometimes you have to make do with the phone camera, I use mine from time to time too, though I never enjoy that I don’t have any control over it. I’m very happy you’re expanding your blog range in this way. I like the idea of living in an and/and world, rather than either/or. Let us know and respect and celebrate different techniques for different purposes, just as we appreciate different friends for their different strengths… Yes, it’s a good picture of a lily, and perhaps it reminds you of that walk and is therefore, in that context, a great picture: good for intrinsic quality, great for resonance. I like your observation around living in an and/and world….that’s pretty much my goal all the time in all aspects.